Kiser’s Barbeque can cater weddings, birthday parties, graduations, picnics, corporate events, private parties and just about any get-together you might be planning. We can put together a simple meal for a few guests, or, if you’re planning a larger event, provide full scale service tended by our BBQ specialists. It’s BBQ at its finest and delivered to your door. 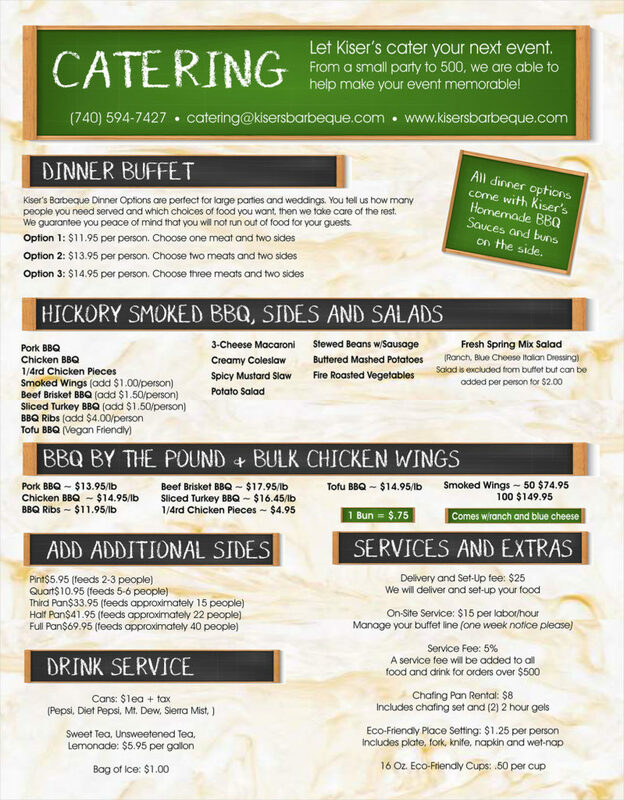 Give us a call to discuss how Kiser’s Barbeque Catering can make your upcoming event “Pig-tacular”!! !